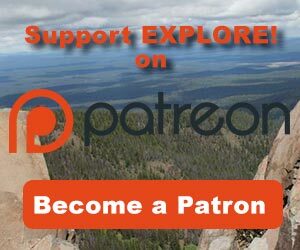 OC&E Woods Line State Trail - Explore! 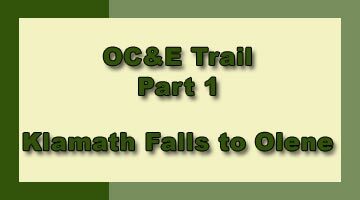 OC&E Woods Line State Trail - Explore! 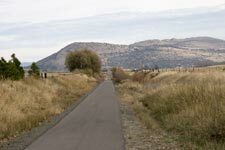 This trail began as a railroad owned by the City of Klamath Falls and named the Klamath Falls Municipal Railway. After beginning construction in 1917 and reaching Olene a year later, Robert Strahorn, the contractor and major proponent of the project, offered to buy the railroad from the city. The sale was made and the Oregon, California and Eastern (OC&E) Railroad was born. By 1923 the tracks reached Sprague River and by 1928 they reached Bly where they ended. 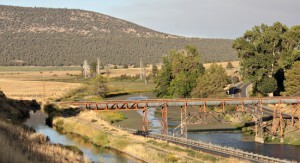 Originally Strahorn had planned to connect Klamath Falls, Lakeview, Bend and Burns through a hub at Silver Lake. Hauling the prime ponderosa pine timber that lined the routes – estimated in 1925 at 26.1 billion board feet – would have generated significant income for the project. However, limited up-front funding prevented completion of his plans. In 1925, the Southern Pacific System took over the line with intentions of continuing it to their line in Lakeview. Those plans were never completed either. Eventually Southern Pacific was forced to share operation of the railroad with Great Northern. In 1939, Weyerhaeuser Timber began building what was then called the Sycan or East Block logging railroad (later called the Woods Line). It began near Beatty, Oregon and headed north across private lands and into the Klamath Indian Reservation, paralleling Strahorn’s proposed route to Silver Lake, although it continued only 45 miles north of Beatty to the Sycan Marsh. Timber in the area was cut and hauled by truck to the railroad where it was reloaded onto the trains. The trains brought the logs to Beatty on the Woods Line and then on the OC&E Line to mills in Klamath Falls and Bly. Finished products from the Bly mill were also hauled on the line to Klamath Falls. Eventually Weyerhaeuser’s load became more than Great Northern and Southern Pacific were willing to maintain. In 1975, Weyerhaeuser bought and rehabilitated the OC&E. Over the years, Weyerhaeuser gradually finished harvesting it’s lands and could no longer support the railroad. The last load of logs came down the Woods Line on February 2, 1990. The last engine left the OC&E on September 25, 1991 after hauling equipment back to Klamath Falls. Great Western Railroad Museum offered to purchase the line from Wayerhaeuser so that it could be preserved as a tourist attraction, but their bids were not acceptable to the firm. The rails were removed in 1992 and 1993 after the system had been railbanked and deeded to the State of Oregon. Work then began on creating a world-class trail along the original railroad grade. For more details on the history of the OC&E and Woods Line, see TrainWeb and a history developed by the OC&E Rails to Trails Group. Today the OC&E and Woods Line make up the 105 mile long OC&E Woods Line State Trail, a part of the Oregon State Parks system. It is a non-motorized trail used by walkers, joggers, cyclists, cross-country skiers, and equestrians. Thirteen interpretive signs along the route highlight historic points for visitors. The trail surface varies from smooth asphalt to compacted gravel to loose rolling gravel. Some of the surface is suitable for bicycles and some isn’t. Along the trail you will also find benches like the ones shown in the photos. Some are covered and others are not. The first half of this section is urban although generally quite quiet. It is heavily used by pedestrians year around, bicyclists in the summer and cross country skiers in the winter. There are a couple of points of particular interest. Wiard Park, at the Wiard Park Trailhead, offers a great place for a picnic. Facilities include a playground, covered picnic area for groups up to 200 people, gazebo for groups up to 25 people, restrooms, basketball, sand volleyball, horseshoe pits, softball, and open space. The Friends of Wiard Park recently added a water spray park creating great fun for kids. About a mile from the main trailhead, you’ll cross an 1898 vintage steel bridge (shown in the photo below). Since it pre-dates construction of the OC&E, it was probably purchased used. Rail experts suspect it came from somewhere on the Southern Pacific system. It crosses the A Canal, the main branch of the irrigation system that serves this area. The country view toward Olene. As you cruise eastward, past Highway 39, you’ll find that the buildings give way very quickly to a pastoral countryside. You’ll see cattle, raptors of various sorts and a variety of small birds along the way including marsh wrens in their favored habitat. If you look closely, you’ll also see remains of the railroad’s past, including bunkers from one of the log hauling cars and old signs, along the trail. This segment of the trail ends, with its pavement, at the tiny community of Olene. Here you’ll find another trailhead parking area and the Olene Store. 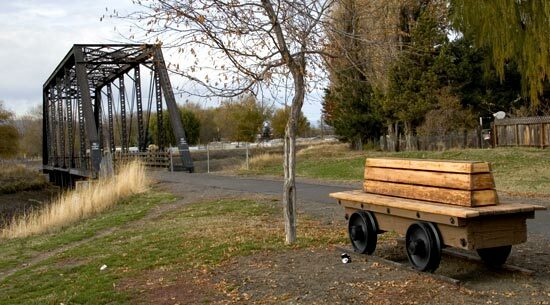 It makes a great rest stop if you’re making the round trip from Klamath Falls or continuing on the trail toward Dairy. It’s an old time country store and gas station that retains the original ambiance. This break through the mountains is known to the locals as Olene Gap. It is a geothermal hotspot and there are hot springs in the Lost River here. While this segment of the trail is great for road bikes, the next segments eastward require fat tires for any level of comfort and safety, so plan accordingly. 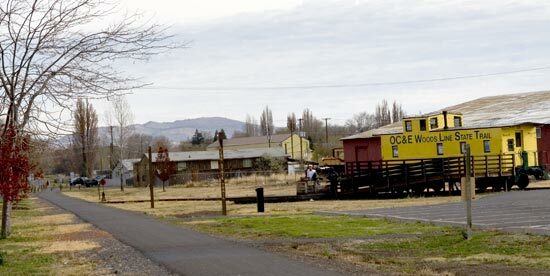 A huge yellow railroad snowplow was positioned at the Olene Trailhead in 2013. 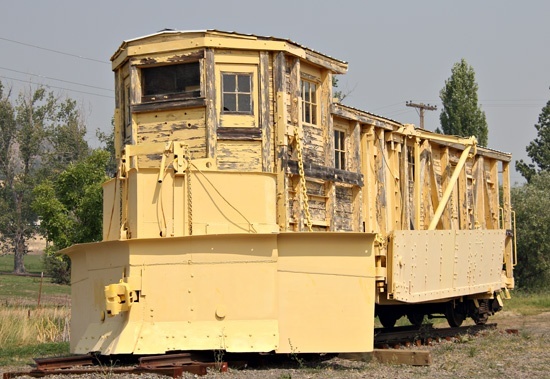 The 1941 Snow Dozer plow was one of three used to clear the rails for the log trains that moved timber from forest lands to the east into mills in Klamath Falls. At 90,000 pounds it was the lightest of the three and sometimes was unable to move the deep snow. When we were there it was badly worn and weathered. The Klamath Rails to Trails Group has received a grant that will be used to replace rotted boards and apply a good paint job. The group will also restore lights and other details so that the plow will look like it did when it was new. Perhaps that work will be done when you visit. Flume carrying water for the Klamath Reclamation Project across the Lost River near Olene. ©2014 Global Creations LLC, All rights reserved. 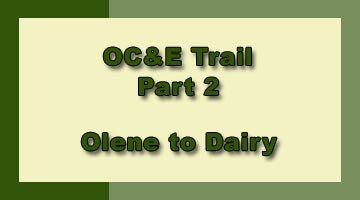 The trail stays fairly level heading east then north out of Olene. Highway 140 drops down to the level of the Lost River so the trail sits high on the hillside offering great views of the river and the surrounding farmland. On the day we visited, smoke from a forest fire near Happy Camp, Califonia (100 miles away) limited our views. There are hot springs on this section of the river so if you happen to be there on a cold day, you will see the steam rising. You will also see a flume that carries water from Gerber Reservoir, to the east, to farms in the Klamath Reclamation Project. This part of the Lost River, that eventually flows into Tule Lake, was also used by Native Americans who fished for Lost River Suckers (or c’waam to the Klamath Tribe) here. 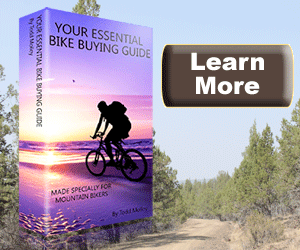 The trail passes through sagebrush and farmland until it arrives at a crossing of Highway 140. The railroad had a bridge over the highway, but it has been removed. The trail drops down to highway level so users can cross the the highway then take a short climb back to the railroad grade. There is high speed traffic on the highway and sight distances from the trail up and down the highway are not the greatest. So, look, listen then cross expeditiously. At this point the trail enters juniper woodlands. When you hear the soundtrack on the video, below, you will hear considerable wind noise in places. That’s not the high speed I was riding my bike, it’s the wind. It was blowing west to east, as is most common in this area, so it offered a nice boost, in places, as I traveled toward Dairy. Upon entering the junipers, the wind dropped considerably. The trail parallels the highway to Dairy and in most places it’s close enough to hear the traffic noise. 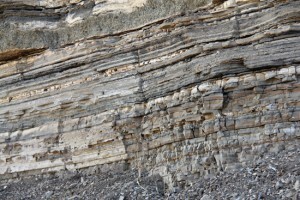 About five feet of strata visible in Swede’s Cut. © 2014 Global Creations LLC, All Rights Reserved. Continuing toward Dairy the trail passes through Swede’s Cut. Swede’s Cut was named for a crew of Swedish workers who used drills and black powder to move more than 10 feet of boulders and hardpan soils so that the railway could maintain its gentle grade. 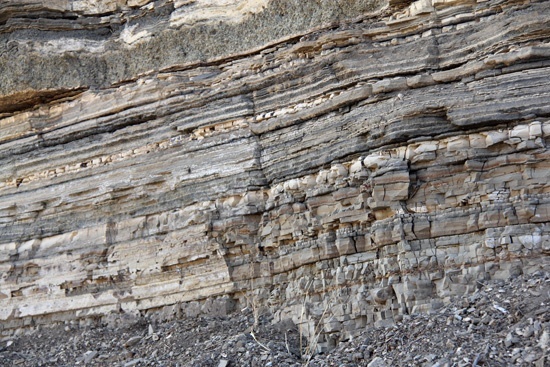 For the geologist in you, the cut offers glimpses of some of the geologic strata that lies below the juniper, sagebrush and rocky soil of the area. 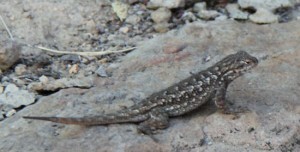 Lizard Along the OC&E Trail © 2014 Global Creations LLC. All Rights Reserved. Beyond Swede’s Cut, the trail continues through juniper and irrigated farmlands. It passes beneath Highway 140 then loops north of the community of Dairy. There is a little restaurant in Dairy, but to get to it from the trail one would need to set off through the juniper on private land or continue past Dairy until a dirt road crosses back to Highway 140, then head southwest back to Dairy on the highway. I continued on past Dairy to the first paved road the trail crosses (Hildebrand Road) where I decided this segment of the trail should end. You are likely to see some wildlife along the way. Besides the shrubland birds and various raptors, I saw a couple of deer and a couple of lizards. This portion of the trail is surfaced with gravel. My bike doesn’t have those new-fangled shock absorbers – you can get a sense for how rough it is in the video. It was dry on the day I rode the trail and it was dusty. A wet day would produce some mud. There are two tracks on the grade that were well compacted and offered the least rolling resistance. In some places getting off the tread, either in the middle of the trail or toward the edges, got into soft ground that felt like biking through sand. While the trail is supposed to be off limits to motorized vehicles, there are some segments that are heavily used by the locals. These segments had a broader compacted area that made for easier riding. 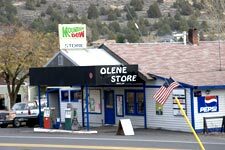 The wind that helped me along as I headed toward Dairy was a major drag, literally, on the way back to Olene. This can have a significant effect upon the time it takes to cover these 10.8 miles. There are also a few gates, as seen in the video, that will slow you down. If you want to enjoy the scenery and do some exploring along the way, plan on spending a couple of hours, one way, on this segment the trail. Section 1: Being flat, straight, smooth, urban and suburban, this section of the trail isn’t very adventurous. It is a fun ride and very safe for kids, even on tiny bikes, as long as they respect the stop signs at intersections and cross all roads carefully. Wiard Park offers a great opportunity for kids to take a rest and enjoy the playground. The scenery is ok for the urban sections and improves once past that area. There is variety in the switch from urban to rural segments, the bridges, and Wiard Park but, for the most part, the trail is flat and straight. The history associated with the logging railroad era is a strong point of this segment. 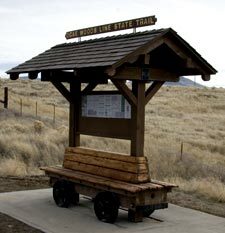 The trailhead caboose with its information and the various interpretive panels along the route highlight that history. If you’ve experienced this segment of the trail, please offer your impressions in the comment form below. Section 2: This section is significantly more rural that section 1 and, being gravel surfaced , it is rougher as well. Kids younger than 10 or 12 will probably not find much joy on this and further sections of the trail unless they are equipped with appropriate fat tire bikes and have practice using them on rough trails. Of course adults also need appropriate equipment. There are no parks or even water sources on this section of the trail. There is one interpretive sign in this section that points out a bit about the history of the Olene Gap area. The historic snow plow also provides an historic experience. Crossing Highway 140 can be dangerous, so exercise extreme care, especially with kids. If you’ve experienced this segment of the trail, please offer your impressions in the comment form below. i often traveled on highway 140 in 1974 when going to utah to visit my girlfriend at college and have always enjoyed this part of the country east of Klamath. My girlfriend (now my wife–both natives of oregon) are planning to ride this trail this summer when we visit family in medford. your video and travel diary have been of great help in preparing us for this much anticipated bike ride. 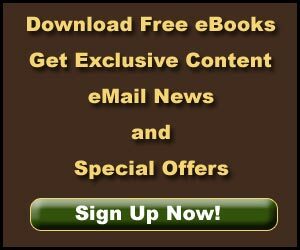 thanks for publishing all this great information and pictures. Thank you for this post. I am gathering information about what to expect when riding OC&E. I found your words both inspirational and informative.